Fraud is happening all around us. It’s hard to create a profile of a fraudster that is accurate enough to help organizations stop fraud in its tracks, or catch people in the act of fraud. If we could predict crime before it happened, just imagine how different out world would be today. But analyzing the types of fraudsters seen so far can help an organization harden their defence against criminal activities. KPMG created a report analyzing 596 fraudster member firms between 2011 and 2013. The purpose of their report was to provide insights into the relationship between the attributes of fraudsters, their motivations, and their environment where they act on their fraudulent activities. 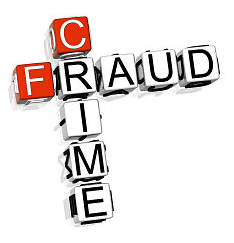 What does change with fraud, is the type of fraud being committed. Fraud is always morphing with the changing times. It evolves as we evolve. The growing use of technology is a huge concern in all organizations in all countries. And the younger, newer generation is embracing technology and using it to access more information than past generations. It’s a new era of fraud – heard about the Heartbleed Bug? It’s challenging and costly for organizations to continuously evolve their systems to detect and combat fraud before it happens. Constantly keeping up with the growing use of technology and new ways fraud is committed, takes a lot of time, energy and resources. One thing doesn’t change…at least until humans are obsolete. People commit fraud. And other people know it’s happening, long before a data analytics system will figure it out. And one of the easiest and cost effective ways to prevent fraud is with the use of an ethics hotline and case management system. Equipping your employees with a strong compliance program, including a whistleblower hotline, that they can use to anonymously report any perceived wrongdoing 24/7/365 is your first defence against fraud. It’s a powerful tool for any organization to implement in its proactive measures to manage business success.